This was a BIG issue for us. But it featured plenty of artists beyond Brooklyn's finest—rising stars like Waka Flocka's Brick Squad Monopoly, Danny Brown, Fred the Godson and Angel Haze that reflect facets of Biggie's greatness. 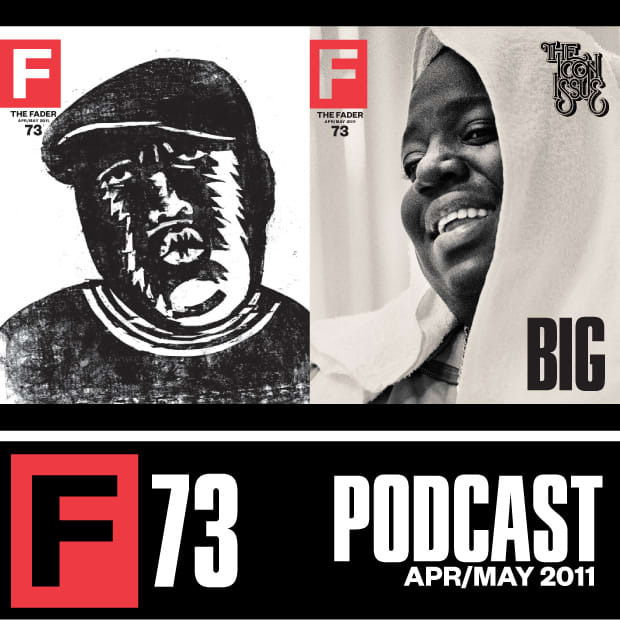 This podcast stews together FADER #73's bunch of not-yet-icons, blending Atlanta adrenaline rap with Katy B's British dance-pop and freestyles over Beyoncé beats into black metal. Special thanks to SL Jones for gracing us with an exclusive drop, and to the FADER TV team, whose interviews with Diddy, Rick Ross and Roach Gigz pop up throughout the mix. It's a pre-summer triumph of jams, and we made it just for you. Waka Flocka f. French Montana, YG Hootie, Joe Moses & Baby Bomb, "TTG"
Katy B, "Katy On A Mission"
Fred the Godson f. Diddy, "Daddy Gettin Money"